Rarely do you get to look straight up through the pylons in the middle of any bridge. This is especially true for the Golden Gate Bridge here in San Francisco. Between the rushing traffic and hundreds of tourists, it isn’t a good idea. 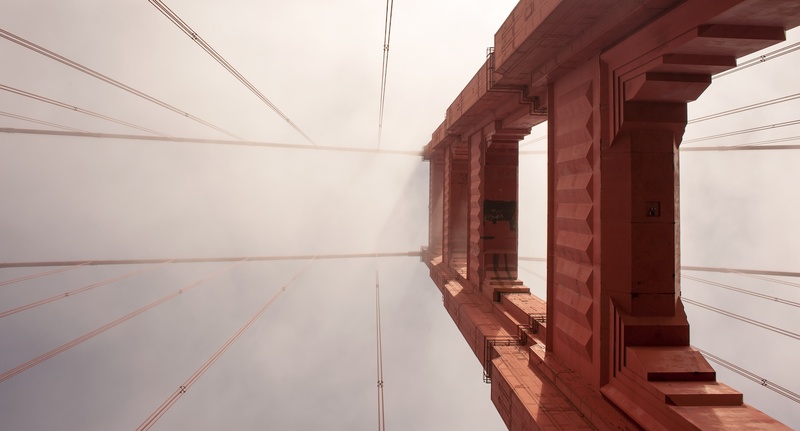 Peering through the fog from the middle of the Golden Gate Bridge in San Francisco. I lucked out the other day while driving from Wine Country with friends. We luckily got stuck in traffic for a few minutes giving me just enough time to shoot this through the sunroof. This was perhaps the first time I felt the magic that is the Golden Gate Bridge. This entry was posted in 365, Art, Tumblog by Justin Scott. Bookmark the permalink.